To most brides-to-be, it can be sometimes a stressful and tiring task when it comes to finding the wedding gown. It doesn’t have to be! The hunt for your dream wedding dress should be fun and fabulous, not frustrating and exhausting! With our ultimate list of bridal boutiques in Singapore, you’ll be saying “Yes” to the dress in a flash, no matter what your style, preference and budget. Originating in Taiwan and specializing in French lace wedding dress, Alisha & Lace will spoil you for choice when it comes to picking “the one” for your big day. Since their motto is “Every details count”, everything will be taken into great consideration from the fitting to final touch, making sure every brides walking down the aisle like a princess. Whether it is a bold colored details or a classic romantic dress, designer Amanda Lee always strive to make each wedding gown a piece of wearable art. Genuinely crafted, fitted with precision with input of Amanda’s immerse knowledge of a women’s silhouette, the dress will accentuate your individuality and bring out the sparkle in you. 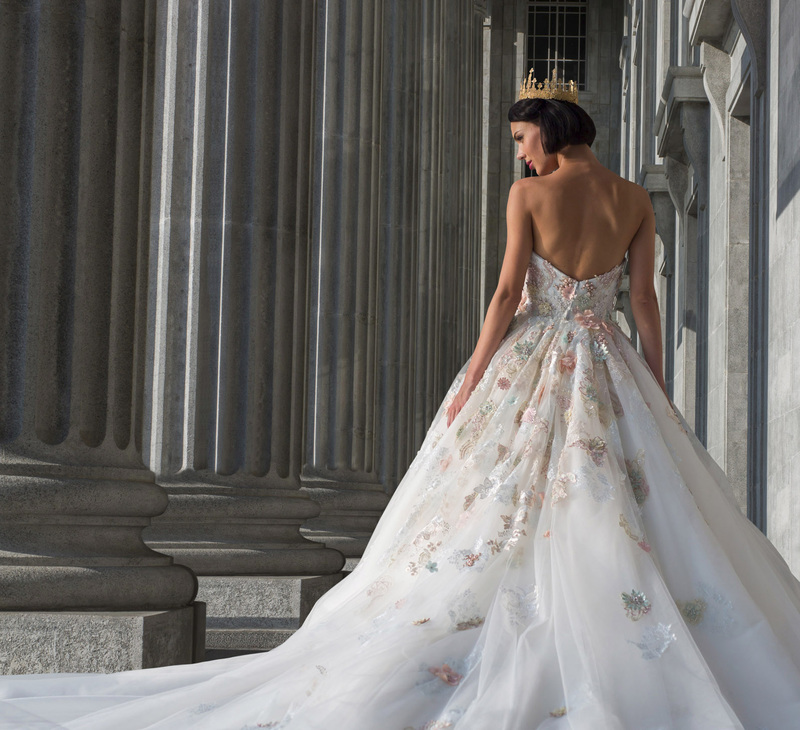 Belle & Tulle Bridal offers luxurious and bespoke wedding collections for fashion-forward brides with renowned international fashion designers like Zuhair Murad, Romona Keveža, Naeem Khan, Lela Rose and bridal couturiers like Berta Balilti and Anne Barge. Dang bridal collection is a tasteful blend of expert cut, stylish fabrics, and handcrafted embellishments. Moreover, she is also known for her modern Cheongsams, creating inspiring interpretations by exploring with mixes of fabrics and colors. Incorporating classic fabrics such as tulle and lace with East-West contrast fusion, Flamingo Bridal has fashioned modern halter neck gowns out of traditional and reworked vintage gowns for a modern feel. Aspiring to endow each and every gown with its own story, Jessicacindy will weave your dreams and ideas into a creation you can truly call your own. With over 25 years of experience in wedding industry, Luna Bianca Gown Collection offers elegant gowns of clean and simple lines, yet dazzling on its own. Malena Bridal Haute Couture offers gowns in an array of styles and types that compliment every body type. Each gown is hand-picked for its elegant design, luxurious fabric and intricate details. My Bridal Room carries an array of luxurious wedding gowns, from classic & timeless to stylish & sophisticated. Its collection is an embodiment of sumptuous fabrics featuring elaborate hand finished details; you will have your dreaming wedding gown to fall in love with. Dedicating over 20 years of industry experience, Silhouette The Atelier provides a wide selection of specially crafted gowns, ranging from classical to contemporary, traditional to modern, or simply an elegant fusion of styles. Opulent and luxurious materials, intricate and fine detailing are key features of their creations. 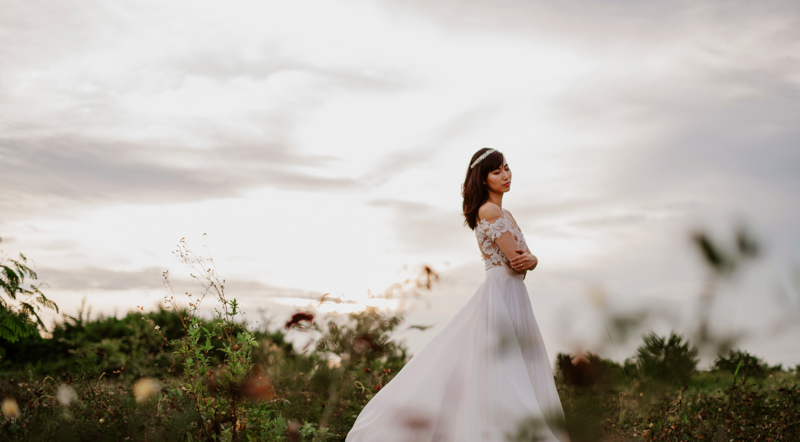 The Gown Warehouse is Singapore leading bridal boutique that offers a variety of sleek & modern wedding gown and evening dress for brides at affordable prices for rental or purchase. Inspired by Korean designer style, The Louvre Bridal provides artistic, modern styles, luxurious designs and couture-like quality bridal gown collections. The Prelude Bridal is one of Singapore’s first luxury multi-label wedding atelier with internationally established designers like Marchesa and Nouvelle Amsale. Moreover, they are also the exclusive bridal stockist for Singaporean designer, Love Yu. With over 50 years of experience, Thomson Wedding Collection is an early pioneer of Singapore's bridal boutique industry. Explore their vast collection of exclusive, in-house designer gowns that are contemporary yet timeless. Yvonne Creative collections are individually designed by the director, Yvonne Tan and she believes in finding the perfect silhouette for every bride and accentuating it with intricate designs to suit their preferences, creating a unique gown for each individual. Made to be timeless, elegant and chic, Caramel & Co gowns are all lovingly designed, hand-made and hand-embellished. They also offer an exclusive post-wedding redesigning service that has helped many former brides creatively convert their gowns into wearable pieces that they can put on as often as they like. Having been in wedding industry for more than 10 years, Jess Haute Couture creates modern yet elegant gowns with a focus on the neckline and a detail-oriented skirt with a 3D look. Known for their whimsical, elegant and sensual gowns, The Wedding Present is a premier bridal boutique offering unique designs, innovative tailoring techniques and hand-sewn embellishments. Whimsical, elegant, yet different, Jawn.Happy.Ever.After’s wedding gowns will bring out the charisma and enhances those poise for only with confidence and utmost happiness would a bride looked their best. Having been in the bridal trade for more than 3 decades, Seletar Broadway is a full-service boutique dedicated to providing one-of-a-kind wedding dress and a wide range of packages can be customized to suit every need. 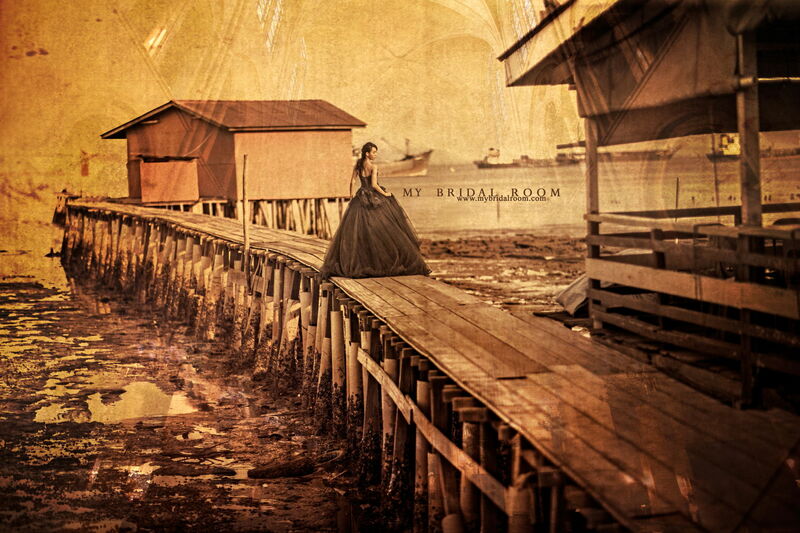 Receive and compare quotations from the best Bridal Boutiques in Singapore with a touch of a button. Fill in your requirements below and it will be broadcasted to our network of top Bridal studios. Browse their wedding gowns and evening dresses, choose the ones you like and get connected. It is as simple as that. Best of all, our service is free!